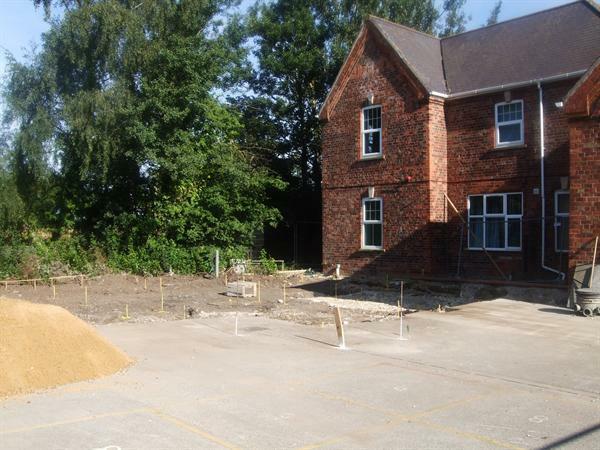 We are pleased to announce that the building of a new Classroom for our Reception and Year 1 pupils, which replaces the old mobile classroom, is now back in progress. 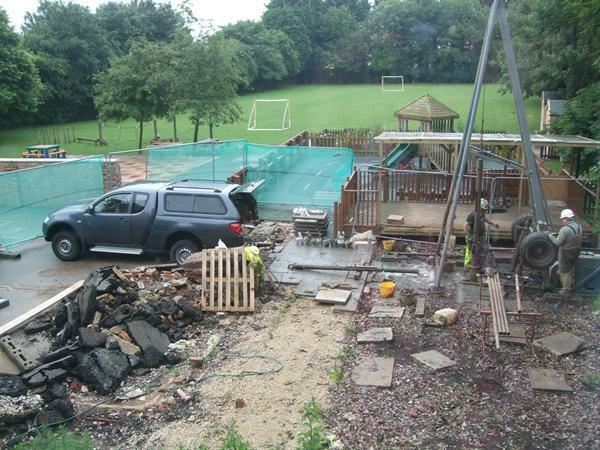 Unfortunately work was delayed due to foundation problems that were discovered when the initial work commenced during the Easter holidays. It had originally been hoped that the new Classroom would have been available for use in September 2014, but with a revised design having to be submitted and planning re-approved to enable the necessary ground works to be undertaken the updated completion date has now been set at January/February 2015. A new ground investigation took place, test bore holes were completed and because of the nature of the ground a piling solution was recommended for the construction of the building. 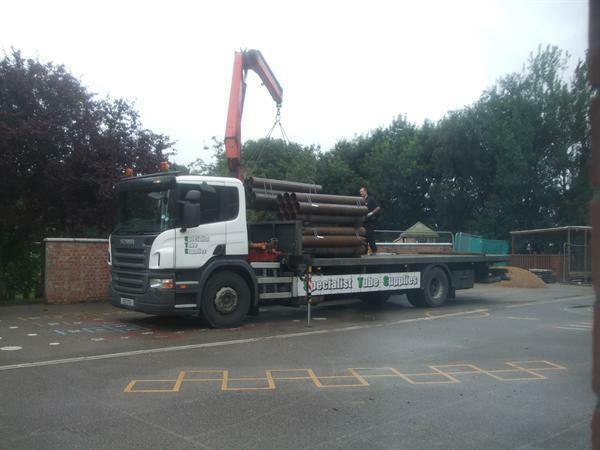 A Piling Contractor Specialist was employed and work with piling commenced on 31st July 2014, with the depth required anticipated at being in the region of 15 metres deep. Building work on the extension itself is due to commence shortly, so we will soon start to be able to see the development progress. It may appear that nothing has been happening on site, but please be assured that a lot of preparatory work to enable the continuation of this project has been going on behind the scenes. 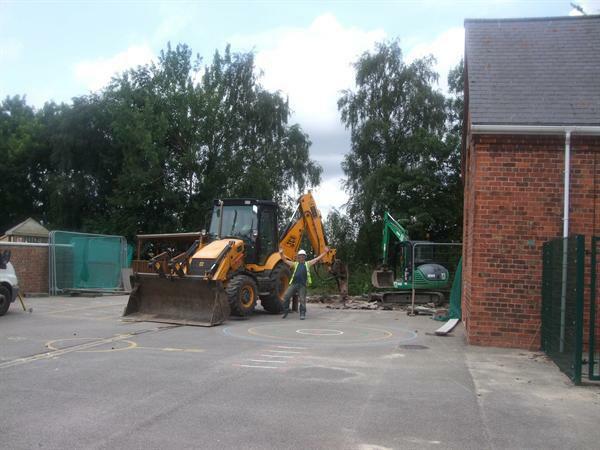 Please bear with us as we work through this period of disruption as when the building has been completed we are now promised a bigger than originally planned new classroom, which will greatly enhance the facilities and provision that we can offer our pupils.